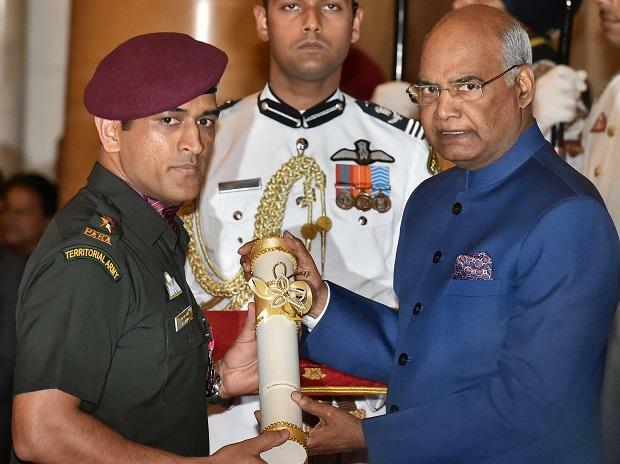 Exactly seven years after lighting up the Mumbai skyline with an unforgettable six, Mahendra Singh Dhoni again became the cynosure of all eyes as the honorary Lieutenant Colonel received the Padma Bhushan Award, dressed in an army uniform. As his name was announced, Dhoni marched past the dignitaries present at the Rashtrapathi Bhavan before receiving the honour from President Ram Nath Kovind. Lot like his batting in his heydays, Dhoni looked pretty much at ease as he walked towrds the dais wearing the army uniform.